Faceplant Dreams...Sweet Dreams Pillowcases. 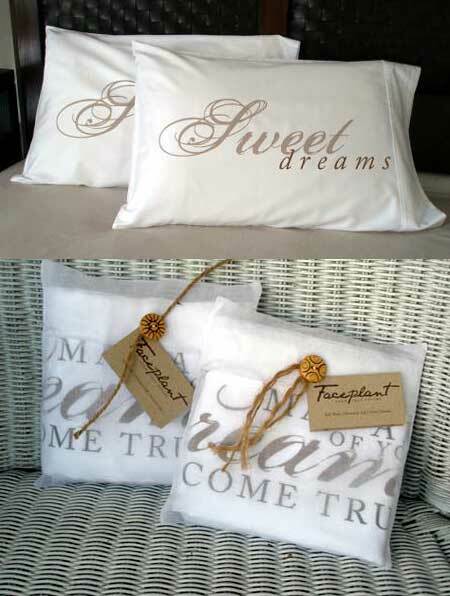 Faceplant Dreams elegant pillowcases are gloriously soft, & are made from 300 thread count, quality, 100% cotton. New, Sweet Dreams Pillowcases are now available in King Size! All Faceplant Dreams pillowcases are manufactured in a Fair Trade environment. 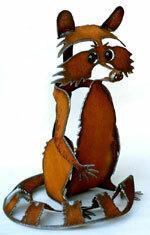 Fair Trade is a movement that aims to improve the lives of disadvantaged people around the world. Fair Trade manufacturers insist upon anti-slave labor, anti-child labor, & respect for employees. They emphasize environmentally friendly processes, fair wages, healthy working environments, gender equality & the development of self-sustaining communities. Faceplant Dreams pillowcases...the perfect message for the perfect moment. Sweet Dreams pillowcases make the perfect gift for every occasion...everyone sleeps! "Say it without saying a word." Faceplant Dreams - Sweet Dreams Pillowcases. Size: Standard pillowcases, two per set. Pillowcases fit both standard & queen pillows. $39.95 set of two. Size: Standard Pillowcases measure 19.5" x 29". Each gift set of two pillowcases are elegantly gift wrapped in a fabric envlope with a unique button to anchor the recycled hang tag. Faceplant Dreams Pillowcases are made from 300 thread count, quality, 100% cotton. Faceplant Dreams pillowcases are made with pride in India.